Split system air conditioning Perth is a popular choice for homeowners for its ease of installation and discreet style. 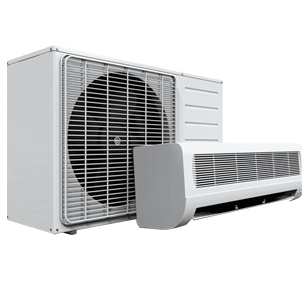 A split system air conditioner compromises of a compressor unit and an indoor unit that disperses the cooled or heated air throughout the room. The indoor air conditioning units are sleek and discreet, blending in well with modern decor. The compressor unit can be placed outside or hidden in a garage as long as it is within 30 metres of the indoor split-head. As no duct work is involved, there is no need for extensive renovations during the installation process. Only a small hole is necessary to allow for the tubing between the compressor and the interior unit. But as good as it sounds, an air conditioner works best when it is installed and run efficiently. Here are some tips to take note of to maximise the efficiency of your split system air conditioner Perth. Split system air conditioners are available in a variety of a different capacities to suit various room sizes. It is important to evaluate them and choose an appropriate one based on your needs. Things like ceiling height, size and number of windows, and insulation levels can affect the efficiency of the air conditioning system. A unit that is too small will cool or a heat a space ineffectively causing you discomfort and costing more in the long run. Similarly a unit that is too powerful for the space will consume more energy and cause energy bills to rise. When the weather starts heading towards the extremities, it can be tempting to set your air conditioner to a colder temperature in hopes that it will cool the room quicker. However, this proves to be not only ineffective but also causes your air conditioning system to work harder than necessary and will rack up energy bills in the process. The optimum temperature is ideally 24-25℃ during summer and 17-19℃ in winter. Being mindful of the times and spaces you occupy can help you decide when and where to turn on your air conditioning. Turning off unused or unoccupied areas in the home can definitely help in optimising your cooling system. In addition, setting a timer or turning off your air conditioner at certain times of the day can reduce the number of hours the system is running for. Opening the windows when it is cooler allows fresh air into the home and gives your split system air conditioner a break. Homeowners who are looking to fit their homes with a split system air conditioner can place their trust in Jeff Mouritz GAS&AIR. We provide quality air conditioning and heating solutions that are effective. With over 40 years of specialised experience in air conditioning installation, service and repairs, we guarantee professional and efficient service. Call us today at 1300 369 690 for more information about split system air conditioning Perth. Our team members are ready to address any enquiries you might have and assist you with choosing the right air conditioner for your home.